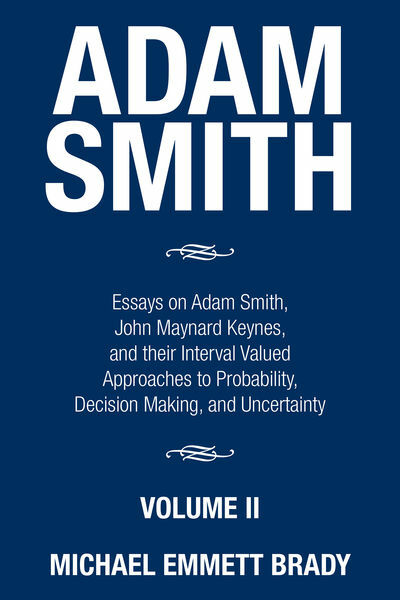 Adam Smiths original path-breaking work on decision making, uncertainty, and public policies to minimize the impact of uncertainty in the economy has been overlooked for well over two hundred years. One need only peruse the badly analyzed work of Smith in this area, as presented by Henry D. MacLeod in his The Elements of Political Economy, on pages 212220, or Henry Sidgwicks The Principles of Political Economy, on pages 359361, as well as the misevaluations of Smiths contributions made by Jacob Viner in 1927, Joseph Schumpeter in 1954, Murray Rothbard in 1995, or Salim Rashid in 1998 to realize that Smiths important contributions were never recognized. The claim that Smith made no original contributions to economic theory or economics is simply false.